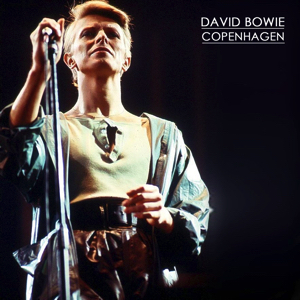 David Bowie 1978-05-31 Copenhagen ,Falkoner Teatret – Copenhagen -. 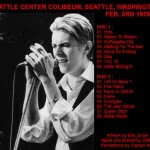 This is a lovely concert and Bowie’s voice is at the top of it’s form! The audience’s enthusiasm grows as the concert pro­ ceeds,and rightly so. The sound of the tape is good,it is in stereo. Two passes of iZotope RX denoiser tool to dehiss. Warszawa volume vary variable, impacting left channel. Right channel copied with 0.02 second offset. Gap between Heroes and What In The World. Removed, crowd noise only. A further gap in What In The World at 0.6 seconds – no material impact. Clumsy join between Blackout and Sense of Doubt removed. 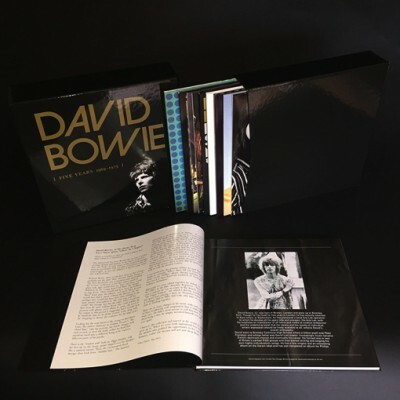 Gap between Hang On To Yourself and Ziggy Stardist – crowd noise only. Tape flip, catching the end of Station To Station. Edited successfully, but different sound quality after join. 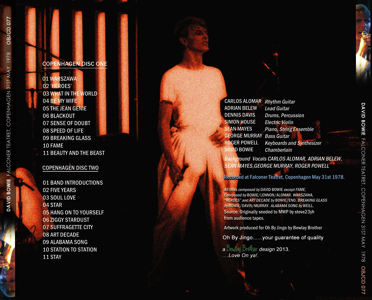 Sound quality for the end of Station To Station plus Stay is a notch or two down – different source?